SMTP (Simple Mail Transfer Protocol) - a very popular network protocol, which is used for e-mail transmission in TCP / IP networks (translated into Russian, this term refers to the Simple Mail Transfer Protocol). Simply put - it is a system, thanks to which we can exchange emails. The SMTP protocol was created in the distant 1982 year. His last update was in 2008 year, ESMTP when the extension has been developed. This protocol is needed in order, to e-mails reach their recipients in the form, in which they were sent. All letters pass through SMPT server. 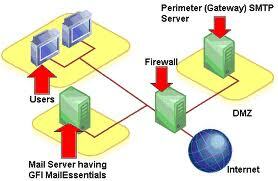 It is difficult to imagine the work of modern e-mail without the SMTP protocol. It manages the huge influx of e-mails, that users continuously send and receive through various e-mail clients. The SMTP server at the same colossal burden falls.